Lorraine Whitfield is a Partner of the firm and heads the Private Client team. 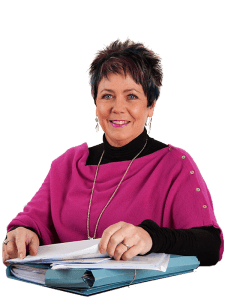 She helps clients to plan their estates, advises on the mitigation of Inheritance Tax as well as drafting their Wills and dealing with their property. Everyone wants their assets to pass to the people or organizations of their choice but sadly without careful planning and the drafting of a Will, that sometimes does not happen. Lorraine has great experience of dealing with the many concerns that clients have about their wills and estates and takes a sensitive and sensible approach to help her clients make the right choices for them. She also advises on Tax Planning, Trusts and Related Property Law. Lorraine acts for clients who are incapacitated and those who care for them. She advises and prepares Lasting Powers of Attorney and where that is not possible she deals with applications to the Court of Protection for Deputyship Orders. She then provides advice and support on the management of the client’s affairs. Lorraine works closely with Hanah Wright to provide the firm’s private clients with a sensitive high quality service.